Facilities Show has announced the three inspirational keynote speakers set to enthral and inform audiences at this year’s event, held on 18th- 20th June at ExCeL, London. The event will host presentations from a rugby legend, a sporting icon and an expert reporter, whose diverse experiences can provide key lessons for facilities management professionals. The speeches will take place across all three days of the event. 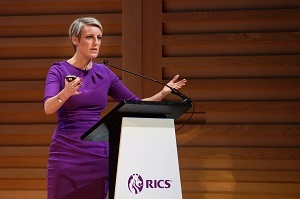 Steph McGovern, reporter and journalist, who joins us to discuss how she went from working as an apprentice engineer at Black & Decker in Durham to becoming an award-winning financial journalist and BBC household name, is the first speaker to be announced. In her business reporting she speaks with factory workers and CEOs alike – her knowledge and experience will be on full display during her speech. The second speaker is Michael Edwards, better known as Eddie the Eagle, whose heroic underdog efforts in the ski jumping competition at the 1988 Winter Olympics have earned him a place in British sporting legend. While Eddie’s speech focuses on risk and safety, his perseverance, courage and hard-work in the face of insurmountable odds provides a universal lesson. Jonny Wilkinson, who famously helped his country to a World Cup title in 2003 will be the third speaker of the week. Jonny shares stories and lessons from his long and successful professional career, but it’s the honesty with which he has grappled with his mental health struggles in a male-dominated industry that makes this essential viewing, particularly as facilities management adapts to an increased focus on workplace wellbeing – this is reflected elsewhere in the show, with the dedicated Workplace Wellbeing Show showcasing more solutions. This impressive selection of inspirational speakers follows last year’s popular and well-received programme. Facilities Show 2018 hosted comedian and mental health campaigner Ruby Wax, Rugby World Cup-winning manager Sir Clive Woodward, and former British Army brigadier Nicky Moffat. Each presentation delivered lessons learned over the speakers’ long and diverse careers to a rapt audience. All three inspirational speeches this year are free to attend for all registered visitors to Facilities Show 2019. The speeches complement a comprehensive agenda of industry-leading facilities and field service management content at Facilities Show. The event is designed to help thousands of professionals approach new technologies and developments such as green energy management and smart buildings by providing access to a full programme of seminars, workshops and case studies, in addition to products and solutions from office design and maintenance to smart energy and lighting.